The company has a conveyorised motor manufacturing facility with a unique over hang in line conveyer system for 100% running & testing of the electric motor. THIS TESTING OF MOTOR PROCESS IS DEVELOPED TO ITS OWN REQUIREMT FOR ACHIVING ZERO REJECTION AND SMOOTH PRODUCTION. Company has automatic motor stator winding facility. From paper insertion, coil winding, coil & wedge insertion, coil pressing & forming, coil lacing, connector crimping, surge testing, automatic varnishing plant to backing oven. This process of winding to varnish require minimum man & material handing to achieve smooth & efficient productivity. The Company has automatic machines for rotor turning & grinding, rotor shaft pressing & straightening with latest instruments & inspection & facility. We have an ample space for wound stator storage with all the equipments of material handling to minimize man power for smooth operation. 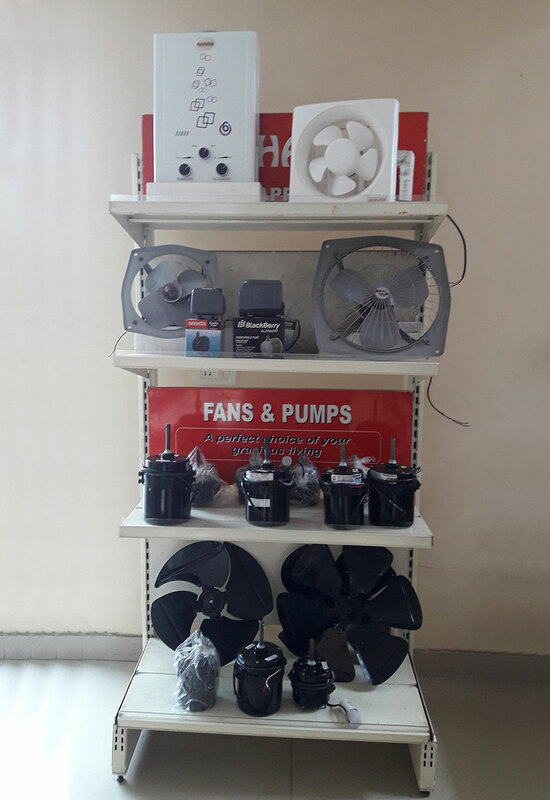 We have the latest production facility of submersible pump manufacturing. Bobbin winding soldering, brazing & coil pressing equipments. The company has an automatic epoxy mixing, potting & dispensing machine. 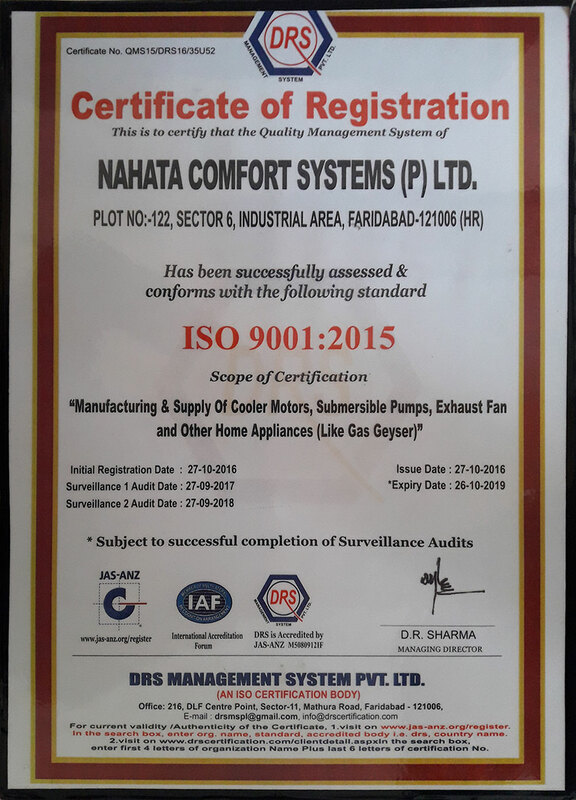 Nahata Comfort is THE ONLY COMPANY IN IT’S FIELD TO HAVE AUTOMATIC EPOXY FILLING PALNT WITH VACUUM CHAMBER, PRE MIXING OF RESIN & OVEN BAKING FACILITY FOR THE ZERO REJECTION IN PUMP PRODUCTION LINE. We have the latest material handling equipments & storage space for our semi finished pump products which requires minimal man & material handling. The company has the R & D Department for all its latest Machines and instruments facility for new developments. The company has an ample space for Raw material storage with modern facility, Receipt Inspection Dept. with all the necessary equipments and instruments. The company has the sufficient space for loading and unloading of material and finished goods. It has the in house loading space for 4or fetter Container.